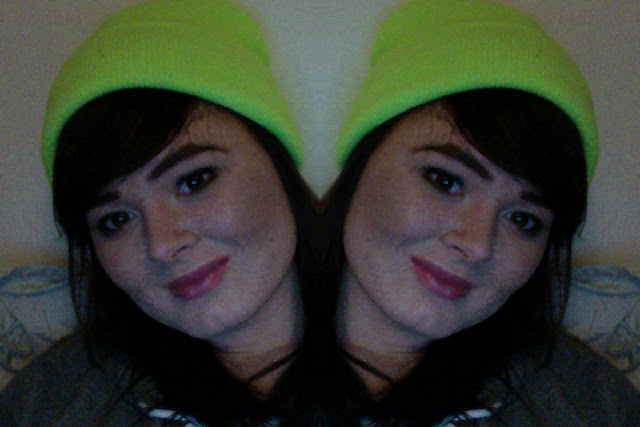 when i was in paris last week, i had this mad urge to buy a crazy bright neon yellow/green beanie that i'd seen in american apparel. like, i have no idea why i was so adamant i needed this beanie. but at that moment, i needed it. when i was in Colette, I bought the latest Sartorialist book and when i flicked through it i saw that a chick had the same beanie on in purple and i immediately regretted buying the freakin glow-in-the-dark one. but you know what, during life, you'll find yourself in consequences like this where you end up questioning your choices and sooner or later you have to deal with the fact you bought a hat that is unnecessarily yellow.